Upgrade your kitchen space with our extensive and top quality commercial kitchen appliances that are made for both home and business use. These kitchen appliances are an indispensable part to the success of any kitchen or catering establishment. We offer commercial kitchen appliances of well-known brands at an unbeatable price. We find solutions to your kitchen needs and understand the importance of cutting edge technology. Browse through our professional performance appliances like coffee makers, food dehydrators, citrus juicers, food processors / blenders, induction cooktops, microwave ovens and more. 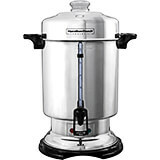 Keep coffee hot and fresh so there is no more bitter flavor with our commercial grade coffee makers and urns. Enjoy great-tasting coffee every time, it is everything a coffee drinker could possibly want. It's something you never outgrow, people worldwide enjoy shakes and our commercial grade mixers made the job easy! The ideal choice for high-volume milkshake prep. 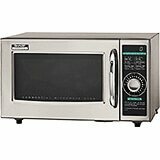 With a commercial microwave you can enjoy faster cooking times that is simple to set up and use. It enhance to deliver delicious flavor and taste of food without overcooking. Pre-programmed settings get custom results. 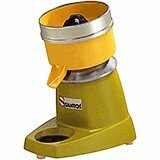 We carry Electric and Manual Juicers designed to extract pure citrus juices from oranges, lemons, limes, and grapefruits with minimal effort. 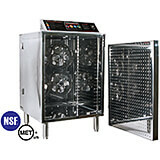 Our Professional Food Dehydrators are big enough to handle the dehydrating needs of any family size. Use your dehydrator to make jerky, dry fruits and vegetables, make fruit leathers and much more. High-performance for easy chopping, grinding, blending, pureeing and emulsifying for recipe versatility. 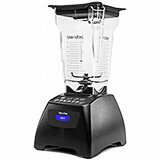 That is why when preparing food, chefs prefer our commercial food blenders. Whether you have a small coffee shop or a large breakfast buffet, using commercial grade equipment and accessories will make your job faster and more efficient. 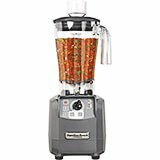 Commercial blenders will prepare a daiquiri, margarita, or any popular drink / smoothie perfectly smooth and with no ice chunks. 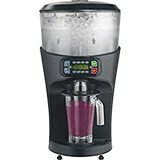 Make a variety of juices fast with great blending and mixing performance. Great for business or home use. 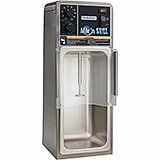 Everyone cools off with a refreshing frozen mixed drink or sno-cone and now you can get a perfect frozen drink every time with precise portioning system delivering the right amount of ice every time! Heavy-Duty Long Life Motor allows you to blend, puree and emulsify. Our Immersion Hand Blenders are a universal kitchen appliance meant to have versatile functions. 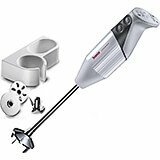 Shortened cooking duration with large output, these Induction Appliances are safe and convenient with the advantage of quick and easy cleanup. 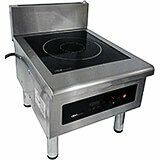 Induction cooking only heats the area that comes into contact with cookware, the induction cooktop surface not covered by cookware remains cool to the touch. Our Commercial Rice Cookers feature large capacity and easy to set control for cook/warm. 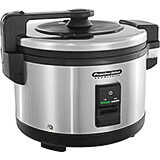 The Commercial Rice Cooker is perfect for restaurants that want to expand their menu to include rice. 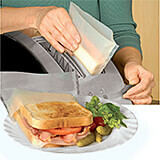 Our Sausage Stuffers are perfect for use in commercial restaurants and at home to easily create your own sausages. 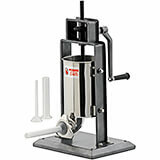 A quality sausage is a wonderful thing and a high-quality Sausage Stuffer makes the difference. Everyone loves fresh bread and it definitely helps to have the best tool to make it. 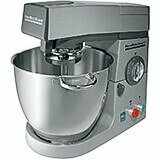 Our commercial grade Stand Mixers are tough from top to bottom.